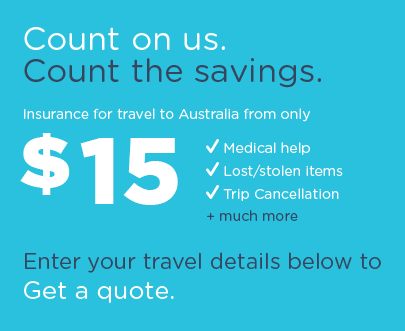 Worldcare has provided comprehensive worldwide travel insurance to New Zealanders for over ten years. Kiwis love to travel, but holidaying overseas can be a risky business. Worldcare Travel Insurance customers are able to Go Explore the world, in the knowledge that they’ve got travel insurance cover and are protected by the world’s leading assistance network, Allianz Partners. Choosing your policy is easy. Compare our affordable travel insurance policies and select the policy that best suits your budget and the level of travel insurance that you require. Our GoComprehensive policy provides extensive levels of cover and is one of our most popular travel insurance policies. If you travel more frequently, the Worldcare GoFreedom policy provides comprehensive cover for multiple journeys over the course of a year and if you’re looking for an option with lower benefits, our GoBudget policy might be more suitable. Whichever you choose, you’ll be well taken care of when you travel. Quote and buy online or talk to us over the phone. Our experienced team are on standby to answer your queries. *Policy terms, conditions, limits and exclusions apply. Before making a decision please consider the policy wording.